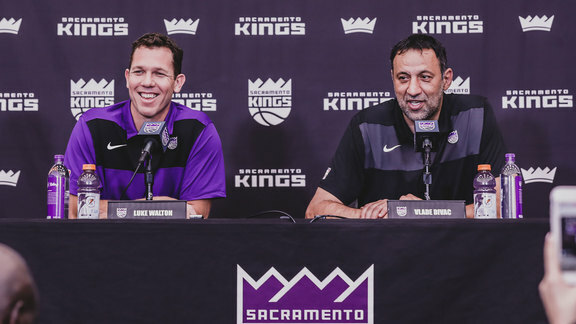 Today, the Sacramento Kings announced that the team has extended the contract of General Manager Vlade Divac through the 2022-23 season. Divac will enter his fifth season as General Manager after taking the helm of Sacramento’s front office at the start of the 2015-16 season. This season, under Divac’s leadership, the franchise took a step forward and had their most wins (39-43) in over a decade. He is credited with creating a young, exciting team anchored by sophomore point guard De’Aaron Fox and third-year shooting guard Buddy Hield, both of whom had career years. At the trade deadline, Divac added seven-year NBA veteran, member of the 2015 Golden State Warriors championship team and 2016 Olympic gold medalist Harrison Barnes to augment the roster. 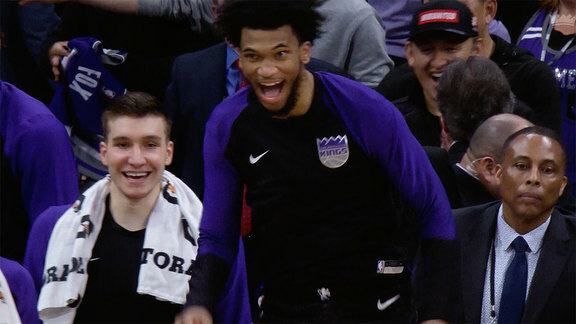 Last summer, Divac selected Marvin Bagley III (2nd overall) in the NBA Draft. Additional talent, recognized around the league for their skills, brought in by the former NBA-All Star includes second-year playmaker Bogdan Bogdanovic, center Willie Cauley-Stein, veteran forward Nemanja Bjelica and 2017 20th overall pick Harry Giles. Divac is one of the most respected and revered individuals in franchise history, an international basketball pioneer who helped pave the way for European players in the NBA and a global ambassador for the game. He is one of just seven players in the history of the NBA to record more than 13,000 points, 9,000 rebounds, 3,000 assists and 1,500 blocks. His NBA career spanned 16 seasons with the Los Angeles Lakers (1989-90 – 1995-96, 2004-05), Charlotte Hornets (1996-97 – 1997-98) and Sacramento Kings (1998-99 – 2003-04). His six seasons in a Kings uniform marked the most successful period in team history, including six consecutive playoff appearances, back-to-back Pacific Division titles (2001-02, 2002-03) and a trip to the Western Conference Finals (2001-02). Divac’s jersey was retired by the Kings in 2009. Off the court, Divac has been recognized for his work to use sports to bring people together. From 2009 to 2017, Divac served as the President of the Serbian Olympic Committee and since 2007, has worked to support international aid through the Ana and Vlade Divac Foundation. On Saturday, the Naismith Memorial Basketball Hall of Fame announced that Divac will be inducted in September as a member of the Class of 2019.